Instrument study is an exciting journey into the world of music. Our teaching artists use the most effective modern methodologies and a nurturing approach to help students sequentially master building blocks of musical and technical skills. 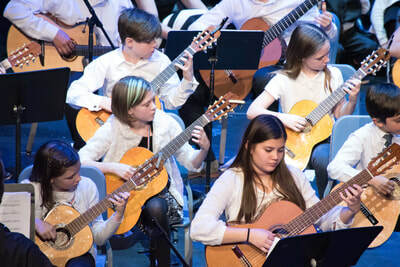 Once a solid foundation in technique, musical literacy, and artistry is achieved, students are encouraged to develop their own artistic voices through any genre of music that speaks to them, challenges them, and tugs on their heart strings. We believe music is the perfect tool for the development of character, life skills, and competencies in students of all ages. ChiME teaching artists aspire to foster, support, and develop all dimensions of the human condition, including the mind, heart, soul, and spirit through musical study. Our purpose is to help students develop into effective individuals who live meaningful lives and contribute to the society, with the awareness and focus on not only what they accomplish, but how they live their daily lives. Through our Instrumental Music program, we provide students with balanced technique, thorough music literacy, and tools for artistic expression. Private lessons provide students with one-on-one attention from an expert instructor who addresses their individual needs. We offer lessons on voice, piano, guitar, violin, viola, cello, flute, saxophone, and drum set. 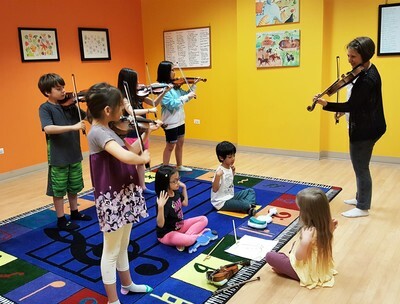 In most departments, children 7 years old and younger begin lessons via the Suzuki Method. For older beginners and more advanced students, instructors will suggest the best age-appropriate, motivating course of study, choosing repertoire based on individual needs of each student. The chosen materials will address many elements that make a well-rounded musician, including posture, hand position, tone production, phrasing, and theory. Most beginning to intermediate students participate in a weekly Department Class. The class is required for Suzuki students (Twinkle, Book 1, Book 2); other students are placed by instructor recommendation. The class integrates fundamental musicianship concepts into instrument study, providing a well-rounded musical education. The teaching approach is steeped in the Suzuki and Orff philosophies, in which the experience precedes cognitive understanding of concepts, and students learn through play and performance. Each class consists of distinct groups determined by students’ playing level (Twinkle, Book 1, and Book 2). Most classes are taught by two or more teachers, allowing the class to break up into smaller groups according to playing level and musicianship level. Some sessions are used for large-group opportunities, including play-downs, masterclasses, big group rehearsals, and orchestra-like experiences, where different students play different parts of varied difficulty. Note: The Department Class is an addition to private lessons. All students must be enrolled in private lessons. In weekly Department Classes, students develop musicianship, ensemble, and technical skills in a supportive group setting. ChiME offers open enrollment throughout the year - students can begin lessons and classes at any time. For more information, teacher availability, or to register, please call us at 312.738.2646. Make instrument lessons at ChiME the beginning of a lifelong musical adventure!